NOW AVAILABLE FOR RENT FOR $4.99 – Enjoy for 3 Days! Dare to Dream, How Rotary Became the Heart and Soul of Polio Eradication, is a high-quality, full-length documentary film that tells the story of how a small group of visionary Rotary leaders dared to set a breathtaking goal of eradicating polio for all of the children of the world. In doing so, they laid the groundwork for the single most successful public health coalition in history. This film gives Rotarians, and non-Rotarians, the back-story to the incredible decision to eradicate polio. Audiences will be astounded to learn that the Rotary Foundation was not involved in the early days of polio eradication, that the public health community was not interested in eradicating single diseases, and that several prominent Rotary leaders were vehemently opposed to Rotary getting involved with service projects on a global scale. Yet three successive RI Presidents along with a few other extraordinary Rotary leaders pursued a grand vision and eventually overcame all obstacles in setting Rotary on a course that, more than thirty years later, is set to achieve the most incredible public health victory the world has ever seen. Rent the movie to get a FREE Excerpt of the film to share with your club members! Encourage them to rent or buy at your next club meeting. 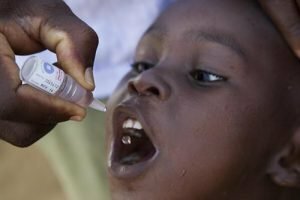 The promo code END POLIO is no longer available.